Don’t get hacked off about internet fraud! The emergence of the internet, and its dominance in our every day lives, has opened doors that were incomprehensible just a few years ago. The globe appears smaller; information more accessible; and who could forget…memes. However, with every good thing there comes someone to use it for nefarious purposes. 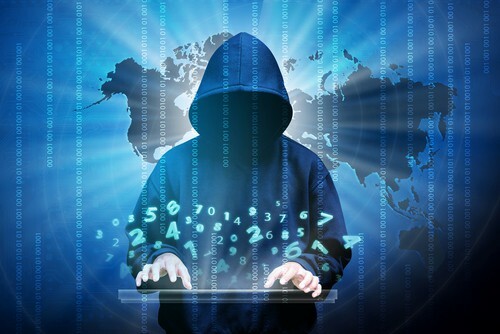 Online highwaymen, cyber-scammers, and internet thieves now roam the internet, educating themselves as to how best to take advantage of the online world for their own personal gain. Their primary outlet is Internet Fraud. Using the internet, they can acquire bank or personal information, simply trick you into parting with large sums of money or steal your identity in order to make transactions. The purpose of this article is to briefly outline some of the most commonly used forms of internet fraud. Hopefully, by doing so it will make benevolent users of the internet more aware to the threat of internet fraudsters and aware of how to identify them. This is probably the most well-known form of internet fraud. Such emails and letters are the classic invitation from some far-off millionaire who needs to pay an admin fee to move large sums of cash. The victim is usually offered a cut of the cash as a ‘thank you’ for assisting in payment of the admin fee. Very often these correspondence claims to come from a West African, Ivory Coastal, or Nigerian Prince. Therefore, lending some degree of authority to the email or letter. The reputational damage that widespread scams such as these did to Nigeria actually caused the country to address such schemes in its Criminal Code; section 419. This is where the name originates from. You may scoff at the idea of falling for such scams, but the reason that they still occur is because people do keep falling for them. Fraudsters will go to great lengths to try and make these correspondences appear legitimate, but they rarely make them perfect. There will be spelling mistakes. Look out for formatting, grammatical or spelling errors, as these are usually good indicators of fraudulent scams. Secondly, if your being asked to pay fees to acquire a larger amount of money, ask yourself ‘why me?’ The person on the other end of the computer doesn’t know you and has no reason to trust you. Plus, there’s the fact that no government or company would ever ask anyone to assist a cash transfer in this way. Finally, you may later find yourself contacted by different people with a new proposition, or even claiming to be investigators looking into previous attempts to defraud you. This is likely to be the original fraudsters taking another run at you under a different name. This is another commonly seen attempt to get one over on innocent internet users. These correspondence usually claim to come from your bank or some other entity in which you hold an account. They can claim to come from Amazon, Netflix, Sky, you name it. The communications usually invite the would-be victim to follow a link to a website where they are required to update their personal details. In doing so, the victim is asked for his or her bank account details, or certainly details that might assist them in answering the security questions. Once they have secured this information, they will takeover a person’s account and use those funds for their own gain. Again, this is another form of internet fraud that seems obvious and easy to avoid. However, the reason it still takes place is because there are people being duped into parting with personal information in this way. That’s why I thought I would write this article, so that it can better assist those who still don’t know how to recognise these scams. Phishing doesn’t just have to be done via email. There was a previous case of a website being set up to pose as HMRC and defrauding an enormous portion of society. Again, spelling and grammar are usually a dead giveaway for these sorts of scams. Any email or website that is properly regulated will not be riddled with such basic errors. There is also the fact that peculiar ‘spe11ing’ of words, or irrational use of ‘cApiTals’ is what fools spam filters into letting such emails through. If they have your email address, but cannot discern your name from it, the email or letter prompting you to update your personal details will be addressed ‘To our valued customer’ or ‘Dear…’ followed by the email address they have for you. Very often, the correspondence or website will be branded, to lend authenticity. However, these brands are likely to have been copied and pasted using primitive software. The image will be blurry and of poor quality. Lastly, constantly check your bank account. Look at the transactions you have made and see which ones you cannot remember making. By this, I don’t mean that one daiquiri too many from the last time you painted the town. I mean obscure withdrawals or purchases from organisations you would not usually buy from. A Bot is a machine that will function just as it always has, but at the same time can be running alternative programs in the background. Normally, malware is downloaded using either third party hard drive, or directly from the Internet. This occurs when you click on corrupted links to certain websites, or if you open certain emails without recognising the sender. Once installed, the malware begins scouring your machine to locate personal information or bank details that are saved. The whole concept of the online ‘keychain’ that saves all of your passwords is usually targeted for its information. In addition, any card details saved when purchasing clothes or other items online can be stolen and will be targeted by the malware. In some situations, the malware will lock your files. Then, the fraudster will contact you to tell you that they will only release your files if you send a fee to them. It’s pretty much a more sophisticated form of blackmail. Where a website or email tells you that you must download something, don’t. If you’ve never visited the website or you don’t know the sender, simply delete the email and ignore it. There are instances where such programs disguise themselves as anti-virus programs and attach themselves to urgent messages about how your machine is infected. Again, unless you’ve been specifically downloading anti-virus software, don’t download these programs. You will be able to tell if malware has been downloaded onto your computer, because its performance will suddenly drop without any warning or reason. The internet connection will become slower and you will struggle to access certain files. Again, always check your bank account to ensure that no peculiar transactions have taken place that you can’t explain. The final scheme I’ll outline is by far the most insidious. It’s the familiar, Romance Scam. This is where you feel like you’ve met the perfect partner online through social media or a dating website, when in fact it is someone who has constructed a fake profile. The perpetrator uses the site to gain your trust, only to then ask for money or personal information. An example of such a request would be where the person on the other end of the computer claims to be in a foreign country and needs money to fly over to visit. Once a victim has sent over the money, that isn’t the end of the fraud. The perpetrator will continuously come back with fresh and invented reasons why they need more cash. Due to infatuation goggles, the victim will continuously oblige. Where you strike up a relationship with someone online, they seem incredibly intrigued in yourself, but don’t allow any questions about themselves. This is when you are likely to have been caught by an attempted Romance Scam. If the picture of the profile online is too perfect. Don’t get me wrong I’m sure incredibly attractive people are capable of falling for you, but the fraudster is likely to have taken the picture for their profile from a modelling website or a lesser known celebrity. That way they can access decent quality photos of people you are more likely to trust. Lastly, where a person you have never met before starts repeatedly asking for money, alarm signs should go off in your head. Never send out money to people on online dating sites or social media to people who you haven’t met. Internet Fraud is a very serious problem in the UK. Research shows that between 2014 and 2015, the average amount of money lost through cybercrime and internet fraud by men was £2,354. Whilst, the figure for women was £809. This, coupled with the fact that 70% of all fraud is enabled by the Internet, should give all online users cause to be cautious. If you suspect that you have been the victim of Internet Fraud, report it to Action Fraud. This is the National Fraud & Cyber Crime Reporting Centre in the UK. It’s important not to be embarrassed or reluctant to report any of the above frauds, as the only way to combat Internet Fraud is to report it. Not Long Left! – Higher financial levels for restricted O-licences? Have your say!